Aesop Lake by Sarah Ward, Green Writers Press, 200 pages. $10.99. Certain kinds of crime rip through a small town's communal fabric, and the bonds of trust may take years to rebuild. July 24 will see the release of two novels by Vermont authors that focus on the aftermath of bad things happening in tight-knit communities — one for teens, the other for adults. "We won't take long, just a little scare." 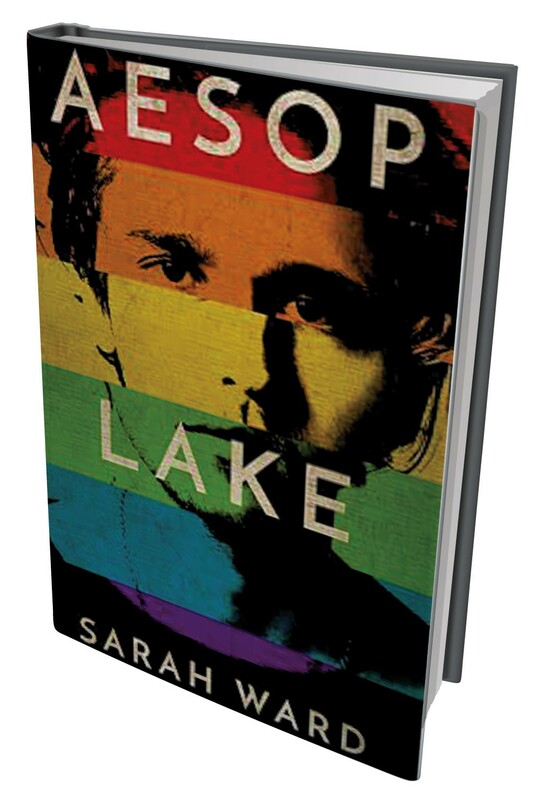 That's what a 17-year-old boy tells his girlfriend as he prepares to commit a hate crime in Aesop Lake, the first young-adult novel from Williston's Sarah Ward. From a family teetering on the brink of poverty, Leda considers herself lucky to be dating popular David. But he, equal parts possessive and homophobic, doesn't approve of her friendship with a gay classmate. When David spots the classmate and his boyfriend making out at the town reservoir, he springs into disastrous action. One boy is seriously injured, and David strong-arms Leda into being his alibi. It's not easy to empathize with a protagonist who helps cover up a vicious attack. Scared and vulnerable as Leda is, readers may feel impatient with this would-be ally who wilts the first time she has to risk something of her own. Ward minimizes that impatience by alternating between two first-person narrators: Leda and one of the attack's survivors. We're always aware of the consequences of violence, even as Leda flees to a job at an idyllic camp at Aesop Lake. When the survivor turns up there, too, fully aware of her dark secret, she can't run anymore. The name of the fictional lake signals Ward's didactic intent, which she reinforces by prefacing each of the book's three sections with an Aesop fable. This overt messaging ("A bad excuse is good enough for a bully") could feel a little blunt to a teen audience. But the ultimate message is a timely reminder that good intentions aren't enough to stop bad actors. Leda enables the town bullies out of fear of losing her own tenuous position in the community — until she learns what it means to step up. Ward includes a list of anti-bullying resources and a discussion guide for the classroom conversations her novel is bound to inspire. 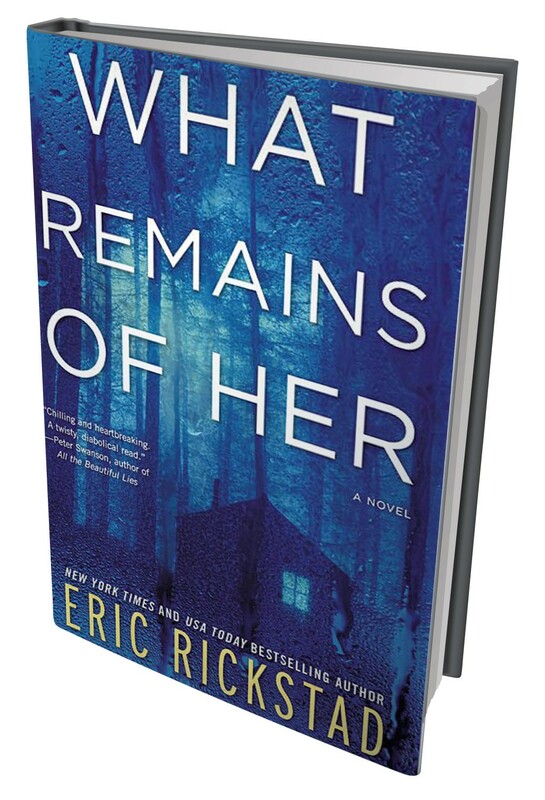 What Remains of Her by Eric Rickstad, William Morrow Paperbacks, 416 pages. $14.99. Unproved suspicions turn a young college professor into the black sheep of his village in What Remains of Her, the latest suspense novel from Eric Rickstad. Unlike his best-selling Canaan series, which kicked off with The Silent Girls, this is less police procedural than dark character study. When a woman and her young daughter vanish, the first suspect is her husband, Jonah Baum, a man full of rage left over from an abusive childhood. His best friend, the town sheriff, manages to keep him out of jail, but Jonah becomes a bitter recluse. Twenty-five years after the disappearances, Jonah discovers a naked, bloody child in the woods and brings her home, believing her to be the reincarnation of his lost daughter. Meanwhile, sheriff's deputy Lucinda — Jonah's daughter's childhood friend — searches for the new missing girl. Keeping readers guessing until the end, What Remains of Her is full of tantalizing ambiguities. Is Jonah the child's savior, or has he become an abuser in his turn? Was he really the exemplary family man he thinks he was? Is anyone in this bleak rural burg a moral exemplar? Promising as the material is, the novel doesn't always feel fully realized, especially in its first act. A surfeit of short chapters ending in forced cliff-hangers suggests the literary equivalent of a horror movie full of jump scares. In the past, Rickstad has used a deft mixture of pulp plotting and literary prose to build dread; here he seems to be grabbing us a little too hard by the collar. Still, fans of Rickstad's Canaan novels will undoubtedly want to explore another landscape full of sinister omens, broken families and shattered dreams. Here, as in Ward's novel, communal silence perpetuates cycles of violence, and it takes bravery to change the tide. The original print version of this article was headlined "Quick Lit: The Aftermath"